Since all of the Polyversal Kickstarter models have been shipped to Collins Epic Wargames, I figured it was about time for another general business update. Before you read the novel below, here is the tldr version: My stuff isn't that popular, hence I can't release as much stuff, please be patient. Remaining releases for this year will definitely include the remaining Renaissance stuff, Microwasteland wave 2, and 3mm scifi, with the ratkin hopefully pulling in prior to the holiday season. 2. My moldmaking / casting / sculpting tends to be somewhat down on priorities vs. more active clients or kickstarters, which is fine and understandable. So, I have a ton of stuff ready for release, because I tend to like to spend money on getting stuff sculpted, because it’s fun and it distracts me from my day job. It is also the time I get most enjoyment out of the business. Why do I tend to drag my feet on moldmaking? Besides the sometimes-painful scheduling aspects, once your product is molded and out for sale, the loss becomes real. Before I officially release that big Renaissance line, or that expansion into 15mm fantasy, or that super-expensive 6mm CAD sculpted elf line, I can still successfully (mostly) lie to myself about its prospects. Once they are out the door though, that’s it, it is all in the numbers. So, in no particular order, below is a list of all of the items / projects I have on deck, with a little blurb of where they currently stand. 3mm Scifi Sets – I personally want these pretty bad, so I am sponsoring them with my own funds. Starting off with 2 army sets worth from Javelin’s excellent National Cheese Emporium Shapeways store. Waiting on some time estimates for these, but since they are slightly delayed I am going to see if I can possibly release more than just the 2 sets in the first wave, to make a bigger splash. 6mm Fantasy Bugbears – Moldmaking hell since Oct 2016. When will I receive the molds? Unknown. Will they work? I sure hope so. 6mm Fantasy Elves – 50% of printing complete. The other 50% will cost almost as much as the moldmaking for another release, and will probably take somewhere upwards of 2 months to receive anyway. Prognosis for this year does not look good, unless I release in 2 waves, which has historically boded ill for the second half of the release. 6mm Early Renaissance – 5 or 6 random packs. I have been spinning the molds myself…the fill rate for some of the poses is, shall we say, soul-crushing. I should have enough done for release within the next couple of weeks, if my hands hold up. 6mm Renaissance Spanish – Just cleaned the masters, will be sending for moldmaking to step into their queue. A few unknowns here. How long will it take to get the production molds back? No idea. Will they work in my machine when I get them? I really think so, assuming they lovingly vent the cavities as well as the molds they used to spin themselves. 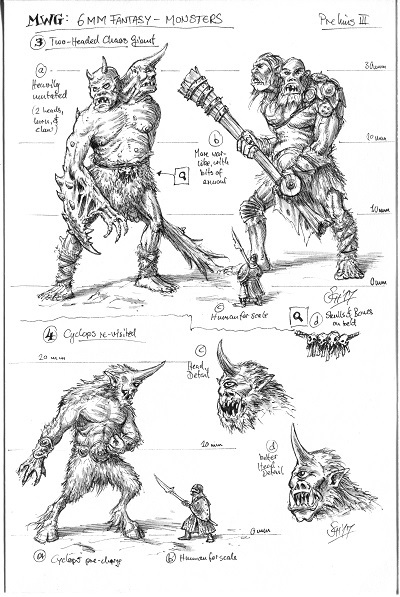 6mm Fantasy Ratkin – Sculpts in hand. Currently undecided as to whether I will try to cast these myself or send them out. Leaning towards sending them out, unless the Renaissance Spanish molds are super-amazing. When will that be? I guess after the microwasteland stuff. This is where things get fuzzy because they start to rely on sales. All I can say is, I really would like to release them this year, if I can. 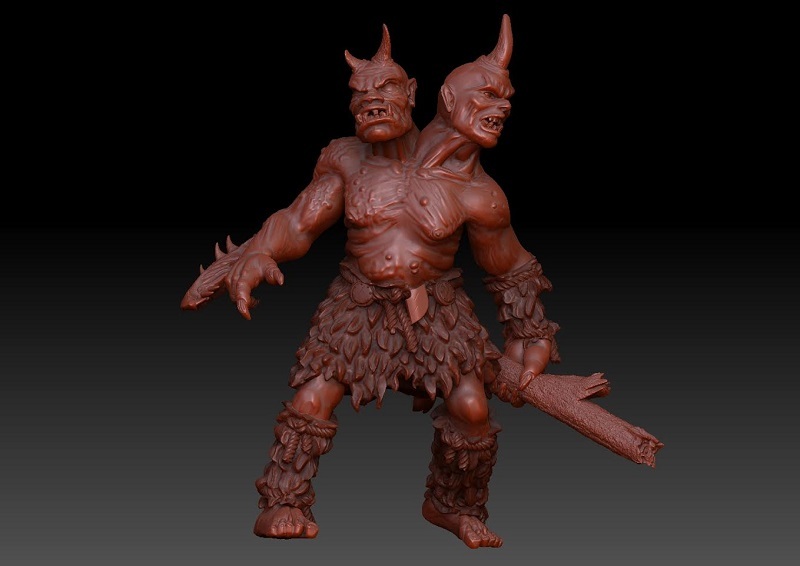 6mm Free Goblin Republic – The great goblins and such have been sculpted for forever. The lesser goblins have been in progress since roughly August of last year. 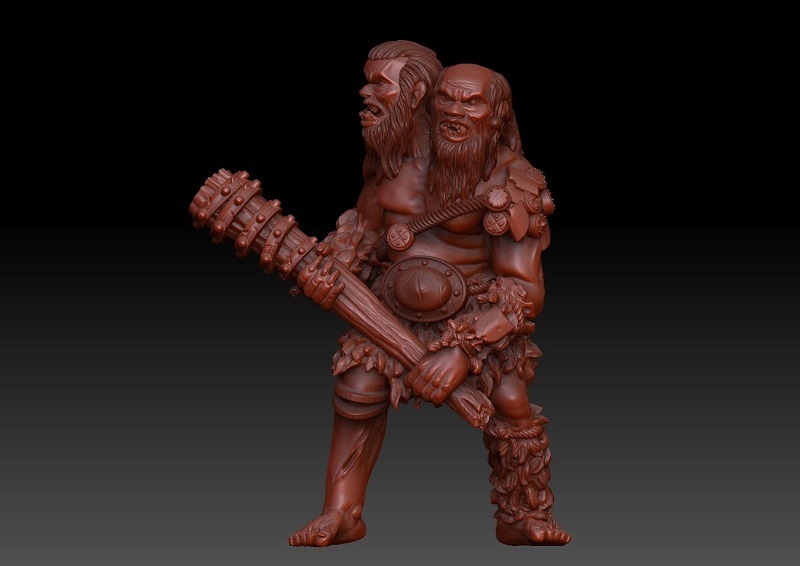 The sculpts are pretty close to being finished I think, but I know the sculptor (also my main moldmaker and caster) is also involved in a popular kickstarter, so his time is going to be extremely precious. This all boils down to me having no real idea when I can get these released, I cannot even hazard a guess. I’m going to cut the list at this point, since anything past this point is entering the realms of the farther future, making it not worth talking about until there is more to show. Yes I said yes I will yes! The ReNAIssance figures, too! And don't worry about the schedule. I think we all know that keeping small businesses going isn't cheap or easy, but you're producing some of the best stuff out there and it is always - ALWAYS - worth the wait, as far as I'm concerned! Hey. I'd like to say congrats on keeping things going, despite the difficulties of business. I will be definitely getting some of your stuff through the polyversal kickstarter which is the second time I'll be getting your products. While I like a lot of what you do, I feel I need to say that I think that hand sculpted stuff around the 6mm scale is at a serious disadvantage to CAD design. It is so much more difficult to keep proportions and details working in an aesthetic way when hand sculpting, and I have found that the few people I know offline( and myself personally) much prefer the crispness and compatibility of CAD models. I would suggest that you might take the Elf sculpts as a test. Promote them, and see if they sell better than your average product range. While I agree with you, keep in mind that you have to pay for the printing too (not cheap). Additionally to sculpting and mold making. Sure you can do all that yourself, but its a huge time investment to learn all that. I am still astonished how large your range has gotten. It's an amazing accomplishment and shoud be praised much more. If I had some money to burn I would just found a little company and redistribute your miniatures. 3mm SciFi? Now we are talking! Totally stocked for 3mm in generall at the moment. And my next Project will be SciFi for sure. Microwasteland is another range I really, really want. Your figures are undoubtedly the best fantasy figures available in 6mm. I have bought several hundreds worth of dollars and will continue to purchase them whenever you put them out. I cannot pretend to understand all of the difficulties involved in producing the ranges as I do not fully understand the process involved but I am very glad that you have persevered. Still say that you should do pre orders, I know you say you are not happy with doing this until you get the finished product in your hands. But it gives you a idea of what will sell and also get miniatures out quicker to the folks that want them. As we all like lead piles lol. The problem I see at the development of your minature range is that when doing new stuff as you are at the moment it makes the old looking range of miniatures redundant as people always want better looking miniatures. Having said that your range has plentype of character and you also supply custom orders to people for projects like micro hero quest etc which is great thing for a supplier to do, an that is where your passion as a store owner and a genuine enthusiast shines through. Very much looking forward to the larger goblins. But like I said I think it is time for you to do pre orders ! Good luck with your plan of action. I've noticed several places comment on the lack of 6mm sales so far this year. A few comments on what you have outlined- feel free to ignore as you see fit! Glad to hear that you got in on the Polyversal deal. I lost interest in the whole thing. After their first kickstarter failed, they kind of stopped posting and it sort of disappeared. When they brought it back around they didnt seem so active here, and they didn't even post update the original facebook group or their page. Not big on rules and the terrain became expensive resin (two things I'm not keen on in 6mm!) so I let it drop from my radar. Still pleased to hear that it will have brought in some cash flow for you though. Not much interest for me for 3mm sci-fi- I'm too deep into 6mm as well as 28mm skirmish stuff. Another scale would just sit there unused. Though I could always be tempted to just 'try' one or two to see what its like...Have you thought about perhaps a small sample bag? Cheap, cheerful with a couple of bits of everything? Something you could promote and sell for less than a 6mm squad to give a little taste. It have to be a cheap affair- if it was more or less the same as a 6mm fantasy pack, I know I'd just end up buy another 6mm pack as I have so many projects to finish! Not much interest for the bugbears from me, sorry! Already plenty of other less supported races you already offer I'd prefer to try! Not so keen on the CAD high elves. The dragon is nice, but the other minis you have previewed look a little static and souless, especially the horse. The swords man is ok. If CAD is so much more expensive than traditional sculpting would'nt it be better to stick with that. CAD has its place- its looks great on epic tanks and the like, but it looses something when making 'organic' miniatures. They stand out compared to the other minis. Your wood elves are some of the best minis I have ever painted, I would have love high elves to have been done in the same style! I'm guilty of having ignored the humans you put out. Human races are dime a dozen, and most 6mm companies put them out for next to nothing. I prefer the knight style to the warhammer empire/german style you have gone with. But giving them a second look, some of them are really nice minis and wouldn't look out of place in a inquisitional or guard Epic army! I may be tempted to buy a couple of packs to try out, and worse case they would be good fodder for dungeon mobs! I do like the terror birds though. I could be tempted to start a small force based around them alone! Wasteland wave 2- I admit, I've yet to buy anything from wave one! My biggest problem with sci-fi really is that I just paint, and dont play and I find it hard to keep buying more when I have so much epic to get through (and not play with! lol) they look great though. I'd be tempted to buy one of each code, and just get them done just to have them on display or play a mini gorkamorka campaign. 6mm Ratkin- yes yes yes! This is what I've really been waiting for! Skaven are my favourite race and whilst irregular has done me a turn, I've been waiting for you to get to the rats! Happy to buy more than I will realistically need, just to keep painting them! If I was only allowed paint one race then this would be it! The sculpts look fantastic and already my vermin mind has been turning over all sorts of whacky crazy conversions! I'm just hoping you get them out before GW release the rumoured skaven release this winter. Which ever one comes first is likely to take a large chunk of my time and money! more goblins! Not sure why more goblins are on the way, especially if you are not selling as well as you would like! Dont get me wrong , I love goblins too, but you already have two ranges. Perfect six has a range coming out soon, baccus do a range of goblins and irregular do a few different sub goblins too! As much as I love goblins, unless this is a sub faction (like tech goblins!) that no one has touched before, then I dont see me wanting to buy more! There are tons of fantasy races not done in 6mm, and yet everyone keeps making humans and goblins! Good luck with 15mm fantasy. Not my cup of tea. It seems too big to be mass scale but too small to be skirmish-y! Though When ever I look round the forums/facebook I see a lot of people mention it, so it must have at least a small gathering of followers! The Giants are amazing! Not something I particularly *need* but I would defiantly buy them if they came out! Is there a minimum amount you need to sell to make it worth while? Could you do a very small kickstarter for a few items like this? Or perhaps offer a preorder service and included them in someones next order (to cut down on postage) Its a shame that the dungeon set that came out kind of vanished over night, as you could nag them to add some of these monsters to it! Sorry for the negatives. Like I said, feel free to ignore, most of my moans are personal style preference and not to do with the minis them selves! My main objective is hopefully to pull one or two more people in to your (and others) stores! I'd love too see 6mm fantasy get a little more business this year! Though it is currently a way to back up my painting log, I have some tutorials that I've been working on, which should create a bit more interest, as well as wanting to share 6mm 'news'. I'd be happy to repost your news and releases to the site, as and when they go up. I still have a fair few posts of painting log to go up, mostly of your minis that I used for my dungeon. I will continue to link to your store when I can, and really do hope that it helps a little. Just a couple of thoughts on how to increase sales. One of them is to send some pics to miniature wargames magazine as they have a regular scifi and fantasy column although import tax an issue in uk figures are still good enough for me to order them. The second idea is a distant memory from a sales seminar I attended years ago which talked about getting the most returns from a product. One if the ways they suggested was to add something new to an existing line to stimulate sales for the whole line. I don't know if that is something that would help? You did that with the beastmen when you releSed the fauns but I don't know if it increased sales of the rest of the line. I think I topped up with some of the old line when I bought the fauns. Just a couple of thoughts on how to increase sales. One of them is to send some pics to miniature wargames magazine as they have a regular scifi and fantasy column. Another though is perhaps you should push the items you stock that no one else does, especially with the epic crowd. Vanguard and onslaught have taken care of almost everything, but I dont think they have touched any of the daemon races for epic yet. Maybe look to push that range more than anything else, and hope that with increased sales of daemons, people will spot other stuff too. I know time can be short for everyone but what I would do is put aside a weekend for painting. Paint a selection of all sorts of things (especially things that have that cross over appeal, like deamons) then post them up to places like the 'eavier metal facebook group- though not all at once! If you do the work all at once, but take photos non stop through out the day, you have a file of 'instant' advertising you can post through out the rest of the year! I might be seen as a little shady- or even as click bait- but posting a WIP of a couple of daemon stands on 40k groups as a 'working on some more epic 40k stands, what do you guys think of the colour scheme' chances are there will always be one person that will be like "cool, I loved epic, I'd love to get back in to it, where are these from". The work is already done your end- you put the time in all at once. But if you post WIP, you can spread the same minis out over several posts, catching more peoples eye! Theres probably a million and one trading standard laws Being broken by doing that, but oh well! Thanks very much for the long replies and taking the time to write them, as well as all the encouragement. I could definitely do more to “promote” the business, but I’m not the fastest painter in the world. I thought about focusing on 6mm Kings of war projects, since Kings of War has a pretty good amount of online popularity, but I’m a slow painter and I feel bad whoring myself out on a game that actually has a dedicated model line. Primary issue is, and always will be the unpopularity of 6mm fantasy. I think a lot of the target audience who would like small scale fantasy is already invested in 10mm via Warmaster. Years ago, when I started the business, it was something I thought I could eventually surpass, I was way off on that one. I think the CAD v. physically sculpting thing comes down to taste. As can be seen in this thread, some people prefer it for its clean lines etc., while others find it soulless. From a production perspective, it has some advantages in that changes can be made more easily, things can be rescaled with less investment, and it allows for more universal sizing across a product line. The main downside is cost. The base models are more expensive than traditional sculpting, so you end up making more poses than you really need for dollar cost averaging. Then you have the printing costs, which are considerable. The main reason I went for CAD sculpting on the elves was to keep them more in line, size wise to the original dread elves. The sculptor who did them is also really fast and efficient. I am down on pre-orders for the same reason that Vanguard stopped doing pre-orders, they don’t fulfill their desired function, as generally only a handful of people actually pre-order. It makes it not really worth the hassle. I tried it on the first Renaissance wave and the New Terra stuff. I still ended up having to pay for 80% of the moldmaking myself, which kind of defeats the purpose. Like, if I do a 3-month preorder, I need to make sure to commission the molds 1 month in, or I might not deliver on time. I have thought about Kickstarter many times, and other manufacturers have basically said it is a no-brainer, that it is where the support is at the moment. I have so much stuff sculpted and waiting for moldmaking, I am definitely considering at least giving it a go. My hang-up is that, even doing a small one for just a ratkin army box, I would probably need to make the target at least $1000. Even that level won’t actually cover the costs, but generating $1k from a single army box just doesn’t seem viable to me, based on my sales numbers. Regarding new models making old models obsolete, I actually have the opposite problem. My sales are driven by Orcs, Undead, Dwarves, and Wood Elves, aka, my oldest armies. New releases have performed poorly for the past couple of years. The Renaissance infantry did pretty well though. No bother, I felt bad I wrote so much, and that you had to read it all! Yes and No on the Kings of war thing. Dont feel bad about it- they do seem to be quite happy to promote what ever models come along, the fan groups dont seem too mind what people use as long as they are playing the game! Plenty of people are posting all sorts of things, though things like the pony armies and the toy minion armies get a lot of flack, as some people see it as using cheap toys.... So if you feel that would be the best place to promote more sales, then go for it! I only say no as I've been a member of a couple of KoW sites for since the early days and more recently the communities them selves are turning to shite. Two of the big groups focus around the same couple of people who are less than 'adult' when it comes to posting. its becoming more common place for people to be rude to folk that- not necessary complain, but rather go against the common options should we say. I've had people completely blow up at me for posting my goblin army- not because of the scale but because I choose to use round bases on my characters and war machines. My argument is that being a sensible adult, with a working brain, and only involved with other people with working brains , that it really wouldn't cause an issue because we could tell where a circle base would 'official' have square edges, especially at this scale. But I was accused of cheating, going against the written rules, telling people to follow the wrong rules etc. Even when it was clear that I a)never play tournies b)play small scale c)only opponent I will ever have is my girlfriend. Dont forget though their is the lords and lands community and I see mayhems name crop up from time to time still. No where near as large as the KoW communities, but still, there are 6mm players out there! A $1000 kickstarter doesn't sound to difficult or far fetched. Granted, I dont know your numbers, but even at 5% to the kickstarter people, if 11 people spent $100 each, thats your $1000 + 5% and some! I Know myself, that $100 would be easy to blow to the new ratkin, if not more. Maybe think about dipping into historics next year, to pay the bills so to speak. The humans you have just put out are great- I really dont want to paint humans but they would be perfect for a midland force (berserk) using a couple of 10mm chaps to use as the apostles/bad guys/monsters! Is anyone besides me looking forward Dieselpunk range? Forgot to say I love the giant sculpts. In relation to the rats I have £200 put aside for the ratmen. Love the assassins and the monks in particular and the ratapult is just superb.